Did you know that by the age of 35, two-thirds of American men will experience some degree of hair loss and by the age of 50 approximately 85% of men have thinning hair? Are you or someone you know currently dealing with baldness and looking for a cure? Baldness cures have come a long way in the last 50, even 20 years. Keep reading to learn what’s making waves in the market today. Combating and preventing hair loss is a pretty big deal for many people and usually, they don’t realize that there are ways to help maintain the hair they currently have to prevent dealing with hair loss. It was once believed that baldness was caused by too much testosterone or inherited from the maternal grandparent but lately it’s been linked to being caused by a sensitivity to testosterone. There is an enzyme that converts testosterone into dihydrotestosterone which causes the follicle to shrink and fall out. 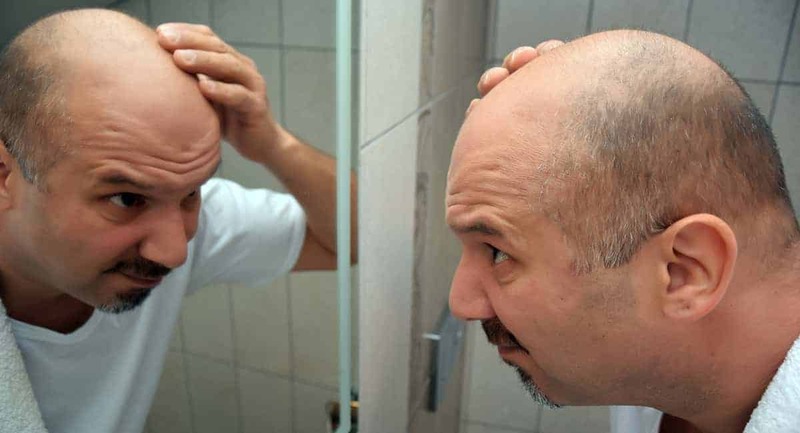 Recently for baldness cures, researchers at Manchester University found that a drug that was originally intended to treat osteoporosis is a potential new cure for baldness. They realized that is has a compound that stimulates the hair follicle to grow. Both of these drugs stop the hair from falling out. They are available via online prescription in the U.K. When looking at products in the market double checking the ingredients is key. Instead of wasting money and time using something that just says it “works” do your research. For men, double checking that Minoxidil is the main ingredient is key to using something that will work as a hair loss treatment. Another cure for baldness that is being used in the market today is transplanting hair follicles from the side and the back of the head to the top of the head. This is not a brand new method to treat hair loss but it has come a long way since it began. Nowadays the hair grafts used are between 1-4 hairs transplanted very close together to make it look more natural. Back in the ’80s, they did 12-20 hairs at a time. Hair loss is a fairly common disorder that can cause loss of self-esteem and confidence. It can cause considerable damage to a person’s emotional health which is why taking steps as soon as it’s noticed will help a person on their baldness cure journey. Americans spend millions on hair restoration surgery nowadays. Hair loss is what happens to a person when the normal process of their hair growth gets disrupted. If your scalp starts to show signs of hair loss it’s time to figure out what the best cures on the market are today to help you prevent more hair loss and grow new hair where the loss is starting. Come back to learn more wellness and beauty tips about everything including baldness cures.